While millions of visitors travel to Rome each year, very few have business within the walls of Vatican City—and only a tiny fraction of these individuals end their day sleeping inside the world's smallest independent state at the "Vatican hotel." We recently heard about two who did, and we wanted to know more. Their adventure started out like a scene from a Dan Brown novel: whisked from the bustling Rome airport in a black, chauffeur-driven car, the university neuroscientist and his wife, a retired videographer, approach the heavily guarded Vatican City checkpoint where the driver flashes credentials, gaining access to the walled sanctum. When the car roars off (taking with it the Da Vinci Code melodrama), it leaves the couple at the doorstep of Domus Sanctae Marthae (Saint Martha's House), a stately hotel of about 130 rooms best known as the temporary residence for members of the College of Cardinals when the group convenes to elect a new pope (as it imminently will, following Benedict XVI's recent resignation). The hotel is a stone's throw due south from the left transept of Saint Peter's Basilica, a site of singular importance to the world's billion-plus Catholics. "The hotel was very large, lightly staffed, and a remarkably low-key place," says Sharon Posner. "It seemed to be run primarily for internal Vatican needs—housing attendees at meetings, traveling scholars and clerics, that sort of thing." During her four-night stay she met a woman doing research for a Catholic magazine and chatted with a visiting professor. "The rooms were very understated, with beautiful wood floors and lots of mahogany," she says. "I had a TV—not flat screen. The bathrooms were all marble and very nice. There was a simple cross over the bed." Her husband, Mike Posner, a UO professor emeritus of psychology, recalls an unusual feature of the hotel: all its rooms are singles—the long-married couple found themselves in separate quarters talking with one another over the telephone. A professional meeting in Mike Posner's field brought the couple to the Vatican. It would be very different from the typical academic gathering, held not in some modern SheratonHiltonHyatt conference center, but in an architecturally striking building originally constructed in 1561 as a summer residence for Pope Pius IV and now serving as home to the Pontifical Academy of Sciences (PAS). The what? The PAS traces its roots to the Academy of the Lynxes, founded in Rome around 1600—Galileo was among its members. That group, which the PAS calls "the first exclusively scientific academy in the world," lasted less than 30 years and was reestablished as the Pontifical Academy of the New Lynxes in 1847. The Vatican acted again in 1936 to revive (and rename) the academy, which now focuses on six areas: fundamental science; science and technology of global problems; science for the problems of the developing world; scientific policy; bioethics; and epistemology. 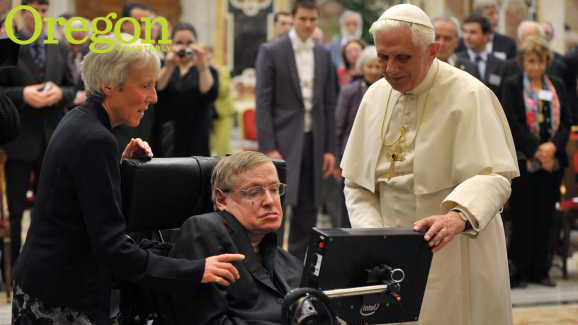 Appointed by the pope, 80 of the world's top scientists and academics from across many fields of research make up the academy along with church representatives. About 75 Nobel Prize winners have been members—including such one-name scientific luminaries as Marconi, Planck, Bohr, Heisenberg, and Hawking. In an address to the PAS in 2008, Pope Benedict XVI shed some light on the church's interest in science when he said, "Thanks to the natural sciences we have greatly increased our understanding of the uniqueness of humanity's place in the cosmos." A sampling of recent gatherings gives a sense of the breadth of PAS interests: Interactions between Global Change and Human Health, Scientific Insights into the Evolution of the Universe and of Life, Transgenic Plants for Food Security in the Context of Development, and Subnuclear Physics. The Posners had come to Rome for Mike to participate in a meeting titled Neurosciences and the Human Person: New Perspectives on Human Activities. "I was pleased that they thought I had something to contribute," says Posner, a National Medal of Science winner whose decades of productive research have spanned the structures and mechanisms underlying alertness, orienting to sensory events, and voluntary control of thoughts and ideas. He moderated a panel discussion titled Towards a Neuroscientific Understanding of Free Will and also delivered a talk, How Genes and Experience Shape Will. In preparation for his talk (written with Oregon colleagues Mary K. Rothbart and Pascale Voelker), he reviewed relevant scientific literature but also took the unusual step of reading through various papal addresses and encyclicals that touch on the idea of the will. "John Paul II talks about the development of the will, which is related to the same topic as our work," he says. Other presenters addressed the state of neuroscience from a wide variety of perspectives with talks on such topics as Developmental Sources of Prejudice, The Evolution of Cooperation, and Neuroscience of Self-Consciousness and Subjectivity. Given that the PAS is an arm of the Church, it is not surprising that the conference also included Cardinal Georges Cottier's session, The Christian View of the Human Person and the Soul. "I learned things from the lectures," Mike says. "I heard a lot of things from outside my field." He was especially engaged by a presentation on Human Origins from a Genomic Perspective by Svante Pääbo of the Max Planck Institute for Evolutionary Anthropology in Germany. "He talked about the Neanderthal genome," recalls Posner. "It seems we are about 5 percent Neanderthal. Fascinating." Sharon attended several of the sessions, but also enjoyed exploring the 50-plus acres of the Vatican's Renaissance- and Baroque-era gardens. "The grounds were beautifully well tended," she says. "It was peaceful and very quiet." To a degree. Paved roads cut through the meandering garden paths. "There was not too much traffic," she says, "but they drive very fast. You really have to watch yourself." While strolling, she was approached twice by security personnel who checked to make sure she was an authorized visitor. "Security was very tight," she says. The gates into and out of the Vatican are controlled by the Pontifical Swiss Guards—who have had this job for 500 years. A curious mix of old and new, the guards dress in brightly striped Renaissance costumes, sometimes brandish medieval arms, and have the latest high-tech surveillance and security gear. Getting past the guards was easier than might be expected and decidedly low-tech, according to Sharon. "We just showed our room key and that got us right through." In addition to getting a guided tour of the Vatican Museum and Sistine Chapel, conference attendees had an audience with the pope, meeting Benedict XVI in the spacious papal apartments, surrounded by huge frescoes and floors of exquisite inlaid stone. Once the visitors entered and were in their places, the 85-year-old pope, whom Sharon describes as a "small frail man," entered wearing his white cassock and other papal vestments. He welcomed the group and talked about the importance of education. It was very much a replay of a scene the Posners had participated in almost a decade before. Mike had been invited to another PAS meeting toward the end of John Paul II's long papacy (1978–2005). He remembers the charismatic pope, then in his early eighties, as "quite infirm." John Paul glided into the greeting room seated on a chair atop a motorized platform. He spoke in English and Italian, and shook hands with each visitor. One of the very practical values of scientific meetings is the intellectual cross-pollination that often takes place when experts gather. At the Pontifical Academy, Mike heard a talk on addiction by Nora D. Volkow, MD, director of America's National Institute on Drug Abuse. Some of the problems of addiction she described brought to mind work Posner had done with UO research professor Yi-Yuan Tang. He immediately began playing matchmaker, and soon Volkow and Tang (who now also directs the Texas Tech Neuroimaging Institute) were planning a collaborative webinar focused on tobacco addiction. "Addiction is relevant to the Church because they are concerned with all aspects of the human condition," Posner says. "Things that can help people or illuminate the human condition are interesting to them." The 2012 meeting was the third in a series on neuroscience that has been hosted by the Pontifical Academy every 24 years since 1964. The conference's printed prologue includes this reflection on the future: "We may imagine another meeting of our Academy on this same issue in 2036 but we certainly cannot predict the topics and the technologies that will be discussed then. Our fields are expanding rapidly and the scientific, philosophical, and theological challenges will increase accordingly."